During a transaction, it’s critical for business owners to partner with a firm that understands the key factors to a successful merger or acquisition. Decades of experience enable us to uncover often overlooked subtleties in mergers and acquisitions. We go beyond our strong background in accounting and tax structure. With our knowledge of your business and industry, we can provide 360 degrees of insight and guidance. We understand the factors involved in major transactions and actively bring them to your attention. Our action-oriented approach has proven to lead our clients to successful mergers and acquisitions. Whether you are currently considering a major transaction or evaluating future opportunities, every step of the process—from research and planning to structural decisions, negotiations and closing—requires specialized expertise and attention to detail. We know the difficult questions that must be asked and how to navigate critical issues. 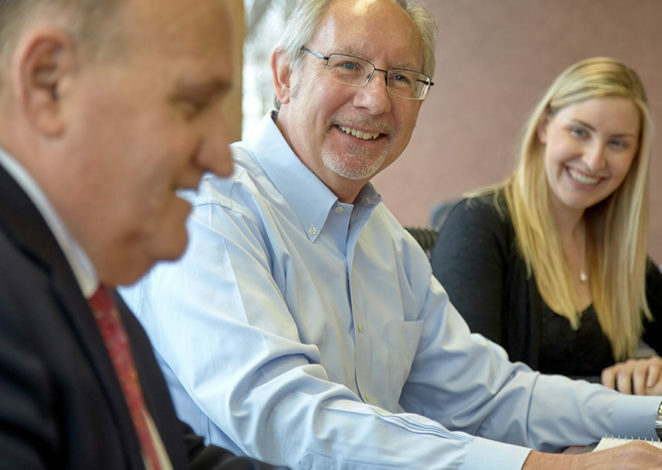 We work with closely-held and family-owned businesses during sales, acquisitions, management buyouts and exit planning to identify the most advantageous options for their transactional needs. We have specific merger and acquisition experience in manufacturing, distribution and warehousing, technology and nonprofit industries. Whether you’re buying or selling, we’re committed to achieving a successful transaction. Ready to learn how our merger and acquisition professionals can assist you? Reach out to our team.